One of the more fascinating dynamics of the current political climate has been the realigning — in the minds of some folks — of the Republican Party. I actually have laughed out loud at the TEA Party faction of the GOP that has taken to referring to “mainstream Republicans” as RINOs: Republicans in Name Only. TEA Party, of course, actually is an acronym that stands for Taxed Enough Already. They comprise the harsher wing of the once-great party. They also have dominated the debate within the Republican Party and are seeking to dominate the debate across the nation. The impending nomination of Donald J. Trump as the GOP’s next presidential candidate quite possibly is going to trigger a major realignment. The party we’ve come to know and (some of us) loathe might not exist after the November election if Trump gets swept by Democratic nominee Hillary Rodham Clinton; by “swept” I mean that Clinton quite possibly could score a historic landslide victory. My hope for the party is that it reconfigures itself in the mold of, say, Gerald Ford, Nelson Rockefeller, Everett Dirksen, George H.W. Bush and — just for good measure — Ronald W. Reagan. Today’s TEA Party faithful like to compare themselves to Reagan. It’s a false comparison. Why? Reagan knew how to work with Democrats. He was unafraid to reach across to those on the other side when the need arose. Today’s TEA Party cabal has none of that skill, or willingness. I keep hearing from my network of friends, acquaintances and former professional colleagues who keep tossing the RINO epithet at today’s Republicans who, in my view, are far more traditionally Republican in their political world view than the zealots who’ve hijacked the party’s once-good name for their own purpose. The Republican Party now looks as though it’s about to nominate a certifiably unfit individual for the presidency of the United States of America. Donald J. Trump is the man. I’ve had more conversations with fellow political junkies that I am able to count. Some of them are Trumpkins. Most are not. To those who support Trump, I am no longer able to persuade them that they have made a huge mistake. To those who stand with me in their utter disbelief at what appears set to transpire in Cleveland this summer, I only can say: I feel your pain. This individual’s political ascent is utterly beyond belief. At any level imaginable, he is unfit for the office of president. Let’s start with Trump’s personal history. He is married to his third wife. He divorced his first two wives. He produced a child with the woman who would become his second wife while he was still married to Wife No. 1. He would boast of his extramarital affairs. His opulent lifestyle is beyond anything that virtually all Americans cannot relate. Trump’s ignorance of policy take my breath away. He said he wouldn’t stand in the way of Japan and South Korea developing nuclear weapons as a hedge against North Korea. He utterly doesn’t understand or comprehend the reason for NATO’s existence in Europe. How about this man’s initial statement about women deserving to be punished for obtaining an illegal abortion? Can there be anything more ridiculous than to punish a woman for making this kind of decision? The insults have become almost too routine to chronicle. I won’t go there. You know what he’s said about his foes, about illegal immigrants, about one noted Vietnam War veteran’s captivity during that horrible conflict, people with physical disabilities. He doesn’t understand the limits of power contained in the office he seeks. The people who wrote the Constitution built in some limits on the presidency. Trump keeps talking about all the things he intends to do unilaterally: build a wall, bring back jobs, make sure department store employees deliver “Merry Christmas” greetings to customers. Well, I never in a zillion years thought we’d get to this point. What in the world has happened to a once-great political party? I’ll take all the credit I deserve for this bit of entertainment/political news. 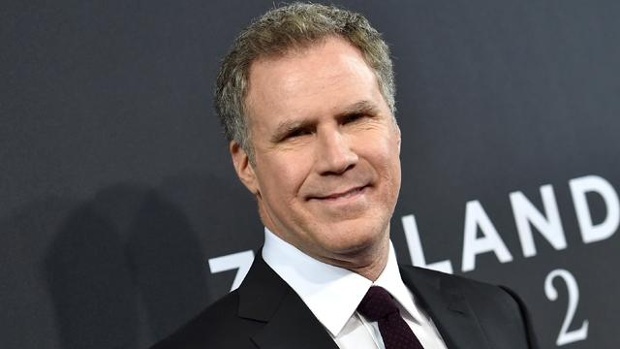 Will Ferrell has dropped out of a proposed movie about the debilitating disease that took the life of President Ronald Reagan. The film is intended to satirize the Alzheimer’s disease that stripped President Reagan of his memory, his cognitive skill, his very essence. He died in 2004 of complications from the disease after bidding farewell to the nation a decade earlier in a heartbreaking letter disclosing he had been caught in the disease’s early onset. There is not a single thing funny about the disease that afflicts more than 5 million Americans — and inflicts an unbearable burden of pain and heartache on the loved ones who care for them. So, Ferrell has dropped out. The backlash against the film was intense. Now, let’s hope that the producers of “Reagan” will think better about poking fun at a relentless, ruthless killer … and its victims. I guess the proverbial cat is out of the bag regarding Ted Cruz. His relationships with fellow lawmakers appears to be, well, in shambles. Former House Speaker John Boehner calls the junior U.S. senator from Texas “Lucifer in the flesh” and the “most miserable S.O.B” he’s ever known. Yep, and to think that Cruz thinks he can work with the legislative branch of government to enact whatever agenda he proposes if he’s elected president of the United States. I get that Boehner is just one individual. I also get that Boehner left public office in 2015 after serving a tumultuous tenure as the Man of the House. The tumult, though, seemed to come as much from the TEA Party wing of the GOP as it did from Democrats who sat on the other side of the aisle from Republicans who control Capitol Hill. 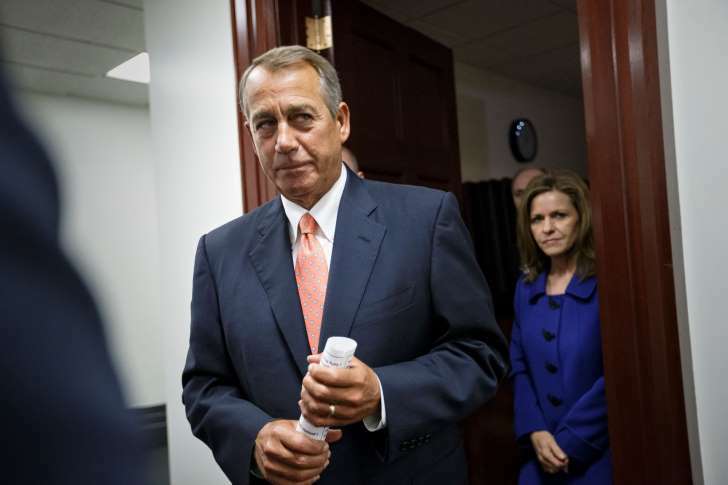 Frankly, Boehner’s critique of his former legislative colleague isn’t surprising. Others have offered biting commentary about Cruz’s time in the Senate. They are critical of his grandstanding, showmanship and his theatrics. Perhaps they are annoyed in the extreme at Cruz’s insistence on criticizing the “establishment wing” of the Republican Party — while serving within that very establishment. The wackiness of this primary campaign is continuing at full throttle. Cruz and Ohio Gov. John Kasich have formed a non-aggression pact to deny Donald J. Trump the GOP presidential nomination. They’re tag-teaming in this desperate move to clear the paths for each other to take on Trump in selected remaining primary states. 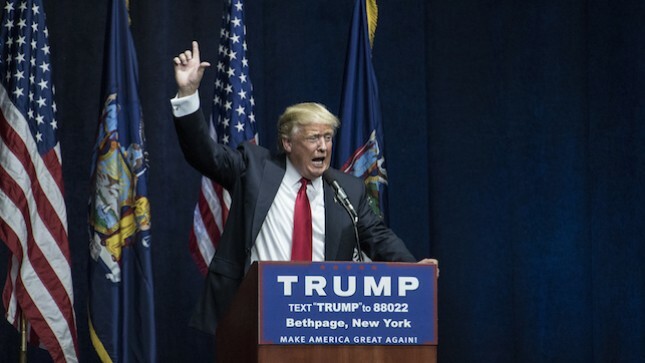 Trump’s standing within the Republican Party is, well, tenuous. One of the men who seeks to topple Trump is a politician who engenders the kind of spite that a former leading public figure has just revealed. Secretary of State John Kerry has broached a subject that is sure to get many Americans riled up. He said during a symposium about the Vietnam War that he has “deep reservations” about our nation’s reliance on an all-volunteer fighting force. Is he calling for a return of the draft? No. He’s not going that far. Indeed, show me a politician who does so and I’ll show you a politician who’s likely on his or her way out of office. But this man does know a few things about combat, about sacrifice and about shared responsibility. He was a Navy officer during the Vietnam War. 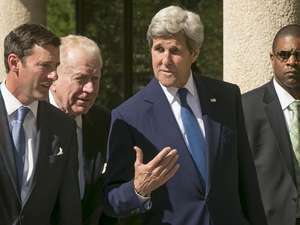 Kerry came from that war and became a leader in the effort end that conflict. That, sadly, is what many Americans did as they lashed out at the policies that caused so much dissension here at home. The blamed the young Americans who were following lawful orders. That terrible time helped contribute to the end of military conscription. More than 40 years later, the nation has been fighting wars on multiple fronts with young men and women who have served multiple tours of duty. They serve, return home and then go back into the combat theater. Again and again they go. Some of them pay the ultimate price during those redeployments. Kerry has asked a pertinent question: Are enough Americans buying into our nation’s commitment to fighting this war against international terrorism? Indeed, the all-volunteer force — while still the deadliest fighting force in the world — has put tremendous strain on the young Americans who keep answering the call to thrust themselves back into harm’s way. Is it time to force more Americans to share in this fight? I love it when public officials seek to remove doubt about their commitment. A bit of doubt removal has taken place at Amarillo City Hall, where the City Council and its appointed Local Government Corporation appear headed toward building a better future for the city’s downtown business district. The LGC has come up with a formula to build a baseball park downtown that won’t cost property taxpayers any more than what they’re paying now for municipal services. The multipurpose event venue cost has been revised downward a bit, from $48 million to $44 million. Yes, it’s more than the $32 million stated on the city referendum ballot measure that voters approved this past November. The payoff, though, well could be a AA minor league baseball team that would play in the shiny new MPEV set to be built across the street from City Hall at the site of the old Coca-Cola distribution center. 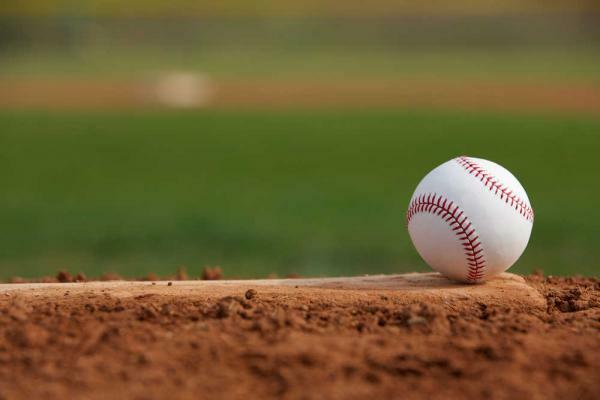 LGC officials are going to pitch the idea of hotel occupancy tax footing the bill, along with money There will be those who do not believe the city can support a AA baseball team. I remain hopeful that the city is able to move this project forward and bring an Major League Baseball-affiliated minor league team to a city that has supported such an activity in the past. As Mayor Paul Harpole has noted, there remains a lot of work ahead to make this deal come to fruition. Some of us had concerns about the council’s commitment to continuing all the work that had been done to this point. Voters elected three new council members a year ago, all of whom had expressed some reservations about the MPEV and whether the downtown redevelopment proposals were worth the effort. The LGC board, which bears the stamp of the new council, appears to be looking hard for ways to keep the momentum going. Let’s keep moving this project along. U.S. Sen. Ted Cruz wanted to “shake up” the Republican Party presidential primary contest. He selects a former fellow GOP candidate, a failed U.S. Senate candidate and (some would say) a failed business executive as his vice-presidential running mate. 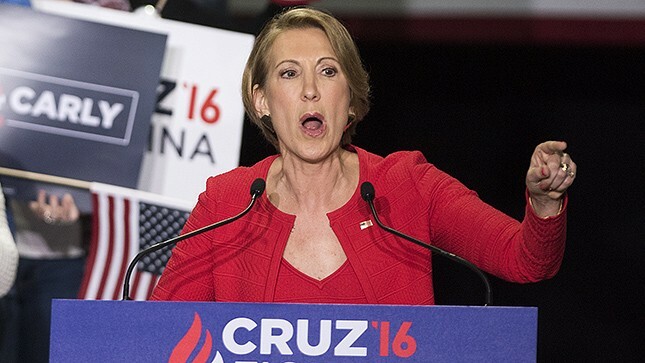 Welcome back to the battle, Carly Fiorina. I don’t have a clue how this will catapult Cruz to the GOP nomination at this stage of the primary campaign. Donald J. Trump scored a five-state sweep Tuesday. He took several big steps toward cinching the party nomination. So, his main rival picks a has-been candidate to shore up his failing bid? I’m going to give Fiorina some praise. I thought she was the best candidate of all the then-large GOP crowd during that first debate. When was that again? I can’t remember. She was on the so-called “happy hour” roster of candidates who didn’t fare as well in public opinion polling as the leaders. I thought she killed it with her crisp answers and command of the facts. I’m still trying to figure out how she gets past her failed effort at being elected senator from California and her forced resignation as head of Hewlett-Packard. That initial debate performance was her high-water mark, as near as I can tell. This is the first time in 40 years that a major-party presidential candidate has named a running mate in advance of the party convention. The last one to do so was former California Gov. Ronald Reagan in 1976, when he picked moderate GOP U.S. Sen. Richard Schweiker of Pennsylvania. Reagan still fell short in his effort to topple President Ford in his bid for election that year. I cannot fathom how this derails Trump. At least Cruz has enlisted a fearless and ferocious critic of Hillary Clinton. Come to think of it, that might be Cruz’s strategy: soften up Hillary for Trump. Before you think that’s an utterly preposterous notion, then consider that Donald J. Trump is about to become the presidential nominee of a once-great American political party. Will Ferrell is one of my favorite comics. His impression of President George W. Bush is priceless. His Ricky Bobby race-car driver character cracks me up. But for the ever-lovin’ life of me, I do not understand the role he is about to undertake. 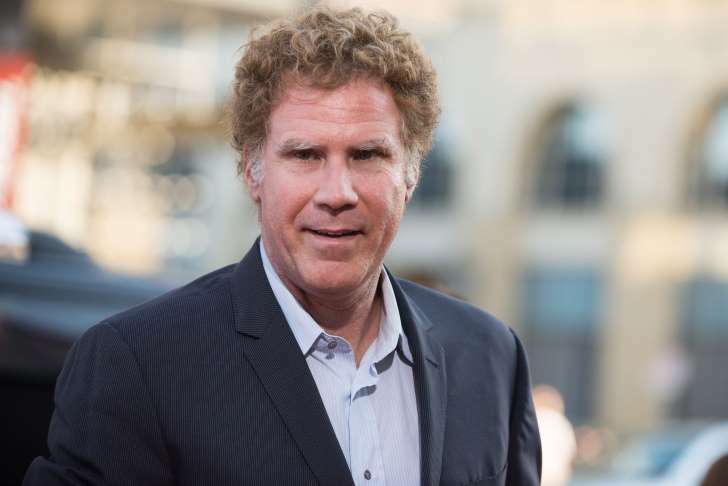 Ferrell is set to play President Ronald Reagan in a bleeping satire about Alzheimer’s disease. Maybe I’m a fuddy-duddy. Perhaps I need to dust off my funny bone. The film reportedly will be set during President Reagan’s second term. Dementia sets in. His staff supposedly tells him he’s an actor portraying the president. Gosh, that’s a real knee-slapper, right? Those of us who have intimate knowledge and experience with this dreaded disease might not see the humor in it. OK, maybe some of us will. The disease is a merciless predator. It strips away people’s cognition, their memory. Everything! My mother died of the disease 32 years ago at the age of 61. I watched her essence disappear over time. And another beloved member of my family is in its early stages. He’s doing well at this moment. Time, though, is not on his side. It’s a miserable, heartbreaking, tragic disease. Someone now wants to poke fun at this killer that victimizes millions of Americans. Its victims include those who suffer from the disease and their loved ones who must watch them deteriorate. How does Hastert earn this kind of ‘support’? Something must have gotten past me. A judge received more than 60 letters of support for a former U.S. speaker of the House of Representatives just before sentencing him to 15 months in federal prison. It’s not the banking fraud that has everyone’s attention. It’s the reason for the charges to which former Speaker Dennis Hastert has pleaded guilty. The letters reportedly were written mostly before the allegations of sexual abuse had been made public. They spoke to Hastert’s supposedly stellar character and devotion to his family. But what about the charges that he hid hush money he was paying to boys he purportedly abused sexually while he was a high school wrestling coach? The terms of Hastert’s guilty plea apparently limits his sentence to no longer than six months in jail. 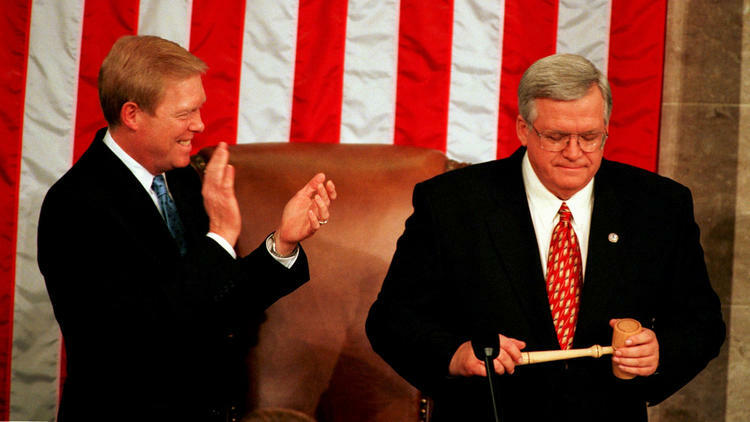 Speaker Hastert allegedly led a hideous double life. He was a respected coach and equipment manager at the Yorkville, Ill., high school. Meanwhile, he allegedly lured at least four boys into compromising situations while traveling with them. It’s almost too disgusting to ponder that a man who once was second in line to the presidency of the United States likely had did terrible things to young boys at an earlier time in his life. I get that Hastert is in failing health. I feel terrible about the toll this case has taken on his family. However, the responsibility for that toll falls squarely on the former speaker. Did he deserve any sympathy from the judge? The judge, though, didn’t see it that way when he sent a “serial child molester” to the slammer. John L. Smith had a problem I never encountered in my 37 years as a print journalist. He worked for a media mogul who is far more than just a mere newspaper titan. Smith was a columnist for the Las Vegas Review-Journal. Then he quit when he was told his boss was off limits. He couldn’t comment on his doings. Is that fair? I don’t believe so. And just who was this man’s boss? 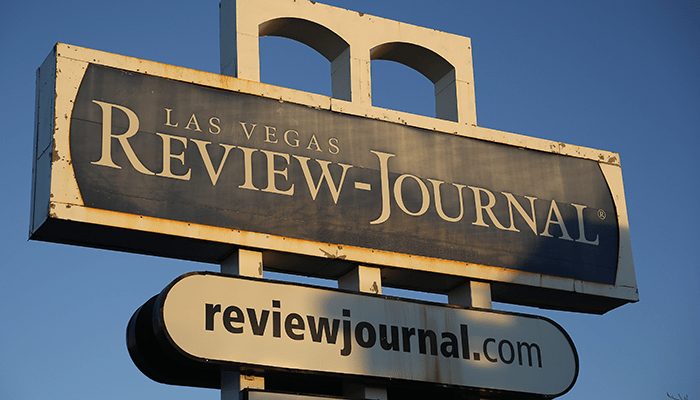 Sheldon Adelson bought the R-J in 2015. He’s also a big-time casino owner and a political money man for Republican politicians. Smith thought that he could comment on Adelson’s casino business and his political activity. No can do, came the directive. At one level, I’m somewhat relieved I never encountered that problem while working as a reporter and editor for three corporate owners. The first one was in Oregon City, Ore., where my corporate boss was Ed Scripps, owner of Scripps League Newspapers. Then I moved to Beaumont, where I worked for the Hearst Corporation, which bought the paper late in my first year on the Gulf Coast; the mogul then was William Randolph Hearst Jr. Then I went to work in Amarillo, where the Globe-News is owned by Morris Communications; the head man there is William Morris III. They all had tremendous influence within their spheres. The issue never came up on whether I could comment on their outside activities. The current Globe-News publisher’s involvement with certain civic activities has raised questions in some quarters about whether the paper could look critically at those activities. Yes, I worked there during some of that time, but the issue didn’t present itself so directly that I ever considered quitting over it. John L. Smith’s dilemma is quite interesting, given Adelson’s huge impact outside of the business he owns. It’s his political influence that ought to make the R-J’s owner fair game. The case isn’t entirely simple. Smith had written about Adelson before and the casino mogul sued Smith for libel. The suit was dismissed, but Smith went bankrupt defending himself. The two men had issues. My hope for Las Vegas is that other media organizations will fill the vacuum left by John Smith’s resignation. I applaud the man’s guts in quitting over a journalistic principle.